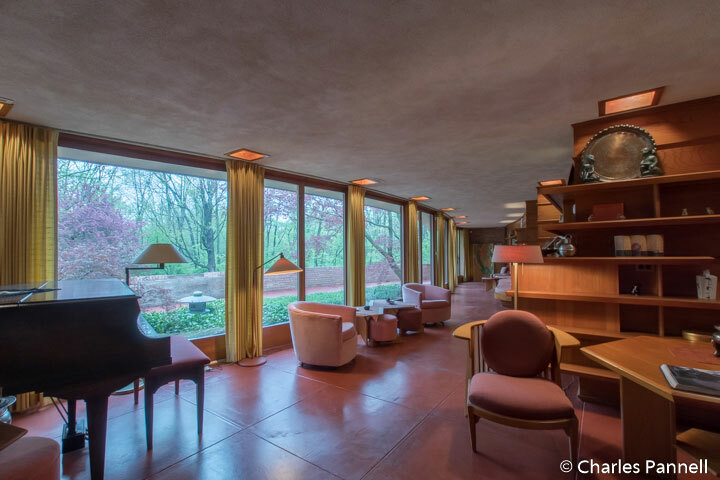 Although Frank Lloyd Wright is well known for the organic architecture of his Prairie style homes, he was also a trendsetter as far as accessibility goes. 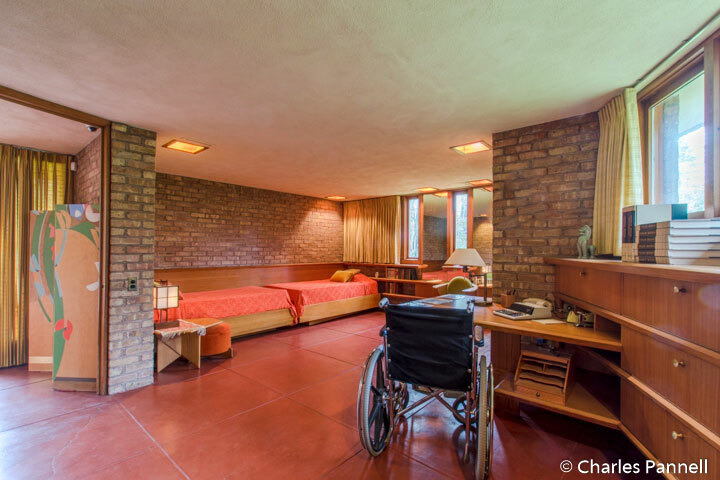 The Wisconsin-born architect not only designed a very practical and usable wheelchair-accessible home, but he did it decades before the first draft of the Americans with Disabilities Act was ever presented. 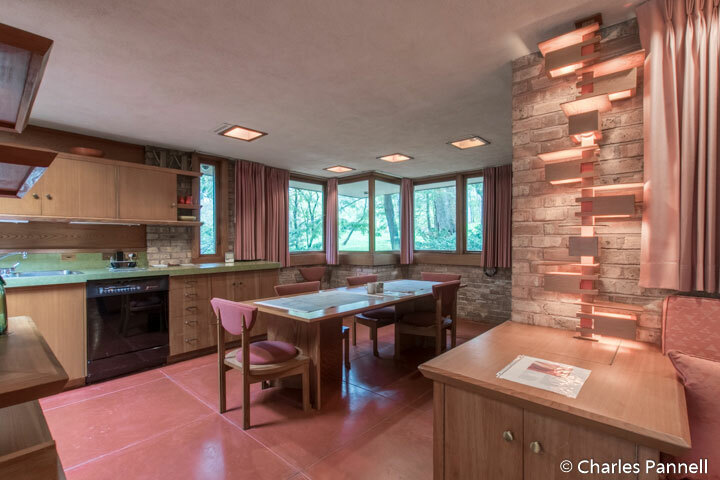 Like most Wright designs that home has stood the test of time; and today visitors can tour this unique model in rural Rockford, Illinois. And the good news is — it’s still accessible to everybody. Located in what was once the outskirts of town, Wright’s accessible Rockford home was designed for Kenneth and Phyllis Laurent. Kenneth used a manual wheelchair, and until the home was completed in 1952, he was living with his wife at her parent’s inaccessible home. Phyllis became frustrated with the situation, and contacted Wright after seeing some of his designs in House Beautiful magazine. Wright agreed to design an accessible home, and a government grant for veterans helped the Laurents finance the project. As an added bonus, the couple formed a lifelong friendship with the architect, partly due to the amount of time he devoted to the Laurent House (www.laurenthouse.com). 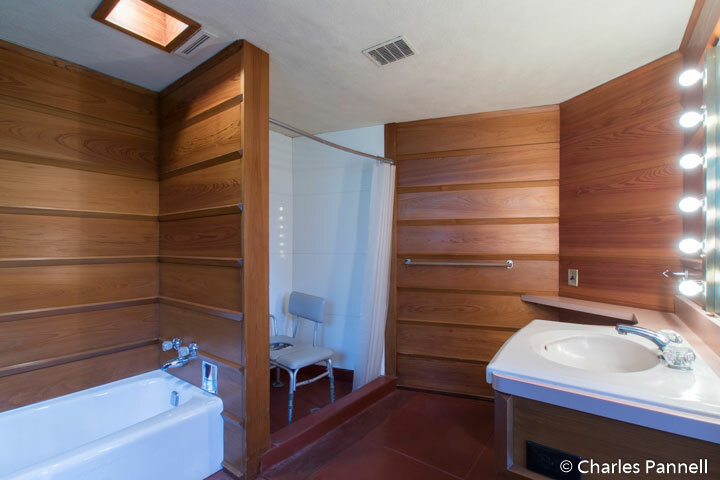 Although Wright had no experience designing accessible homes, he began with his Usonian design, and then listened to the needs of Phillip Laurent. The single story home has an open floor plan with a solar hemicycle footprint; and includes a patio, a fish pond and the trademark Wright carport. It was frugally constructed with Army surplus red tidewater cypress and Chicago common brick, and includes radiant heat in the cement floor. Access features include lowered outlets and door knobs, and good pathway access throughout the house. The bathroom is quite spacious for the time, and includes a low-step (five-inch) shower, a standard tub, a roll-under sink and plenty of transfer room by the toilet. There’s a noticeable absence of grab bars; however Laurent didn’t want or need them, as he used a transfer board to slide over to the shower bench. Although there were no access standards at the time, Wright and Laurent came up with some very workable and accessible design features. The master bedroom includes twin beds with plenty of space for a wheelchair. And perhaps one of the most innovative access feature is the lowered furniture throughout the house. Wright intentionally designed it so it brought everybody down to wheelchair level, however it appears quite unobtrusive to the average Joe. It was perhaps one of the earliest attempts at inclusive design. Kenneth and Phyllis lived in the house quite happily — and even made a few additions for a growing family — until 2012. At that time it was acquired by the Laurent House Foundation and added to the National Register of Historic Places. Today the home is open for public tours from spring through fall. All tours depart from Midway Village, as there’s no room to park at the house. Accessible bus transportation to and from Midway Village is included with the tour, and there’s barrier-free access to all areas of the tour. The tour is open to folks who use manual wheelchairs (maximum width 27 inches), rollators and walkers. Unfortunately the home is not large enough to accommodate power wheelchairs and scooters; however a manual wheelchair is available at the home, if you are able to transfer for the tour. And if you have any access related questions, feel free to call (815) 877-2952. Get your tickets early though, as tour groups are limited in size, and this popular tour tends to sell out quickly. And if you can’t make a tour, you can always do a drive-by to admire the exterior design. To that end the home is located at 4646 Springbrook Road. Whatever you do, don’t miss the Laurent House while you’re in the area. It’s definitely a hidden gem.